So you just got your third generation Lexus IS and want to protect the interior from heat and stray UV rays huh? 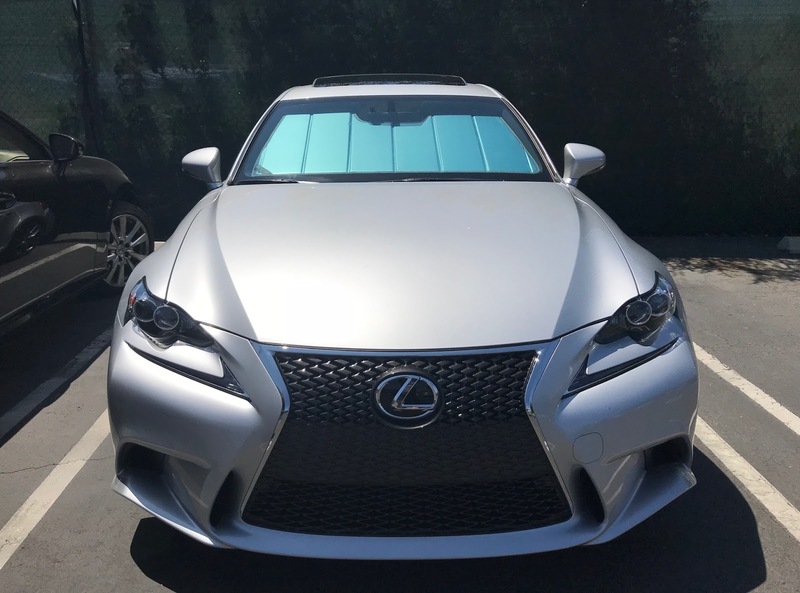 I've had my Covercraft UVS100 on my Lexus CT and now Lexus IS and by far it's my favorite Sun Shield. 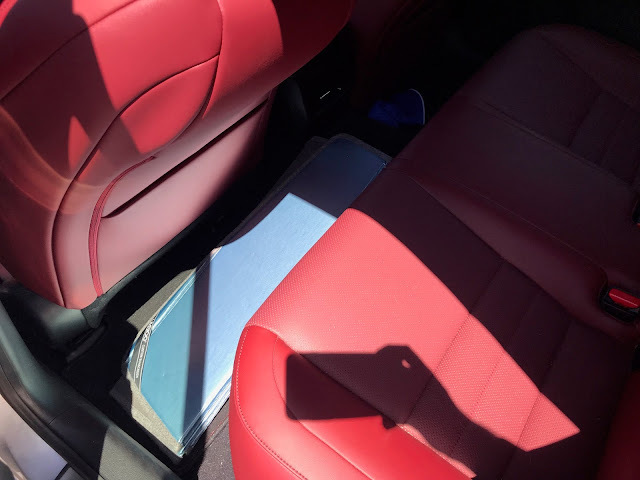 It's custom fit and durable and folds up neatly and stores nicely on the rear floor facing sideways. 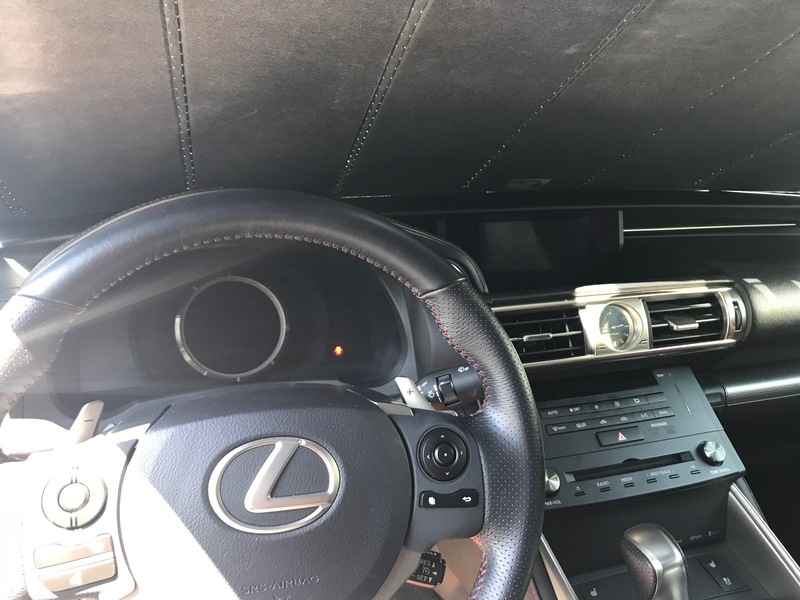 You simply unfold it, tuck it into the dash at the base of the windshield and hold it in place at the top of the windshield by folding the sun visors down. I've had my Covercraft UVS100 for a year now and love it! 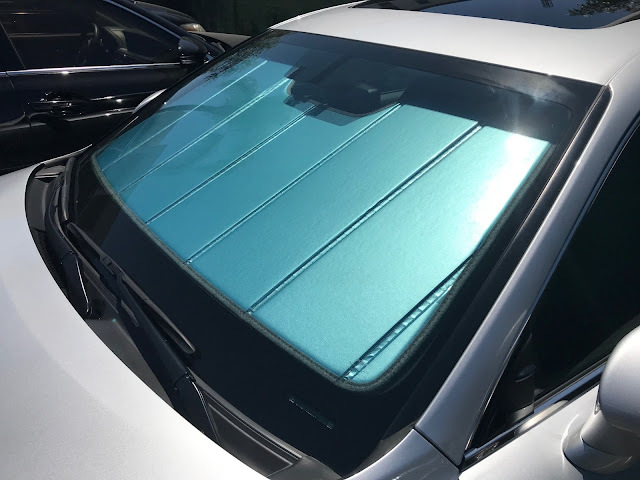 Keeps your car cooler on hot days by reflecting sun radiation and preventing direct sun on the dash from overheating it. This is how I store it. Fold it up like an accordian and tosses in back. No fussy ties to deal with like those auto part "diaper" foldable ones. Custom fits to the windshield. Looks professional from the front. 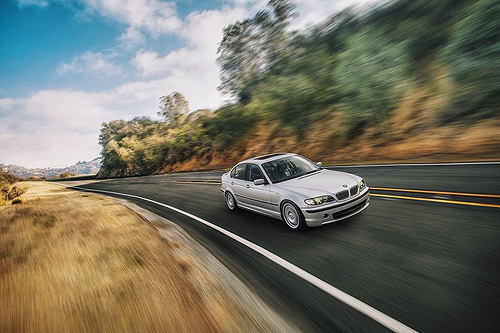 Pro tip: crack each window about 1/4" to 1/2" and pop the sunroof up for extra venting ability and maximum cooling effectiveness. Wanna get it? Get it here! I appreciate your support when you use my links. I get a few pennies for every dollar and it helps me pay for this domain and post more helpful info for you guys. Thanks!